The line rendering itself is fine and self-explanatory, though I would prefer not to add plenty new colours to the main map. I think a longer term goal (no pun intended) is for the osm fr style. Icons might be nice but most of the well known ones will be copyrighted/trademarked. Oh meant to say the line style is for v3.x as it will require adding new stuff to the database. How about adding icons for the most used sports to begin with? Soccer, tennis, baseball, basketball, all have good icons that can be used from iD editor's icon set. Just like iD the icon can be put in the middle of the pitch. Unfortunately they all are 24px, while we use just 14px - this is huge difference. If you want to see how they would look in this style, try to rescale them and save as PNG. 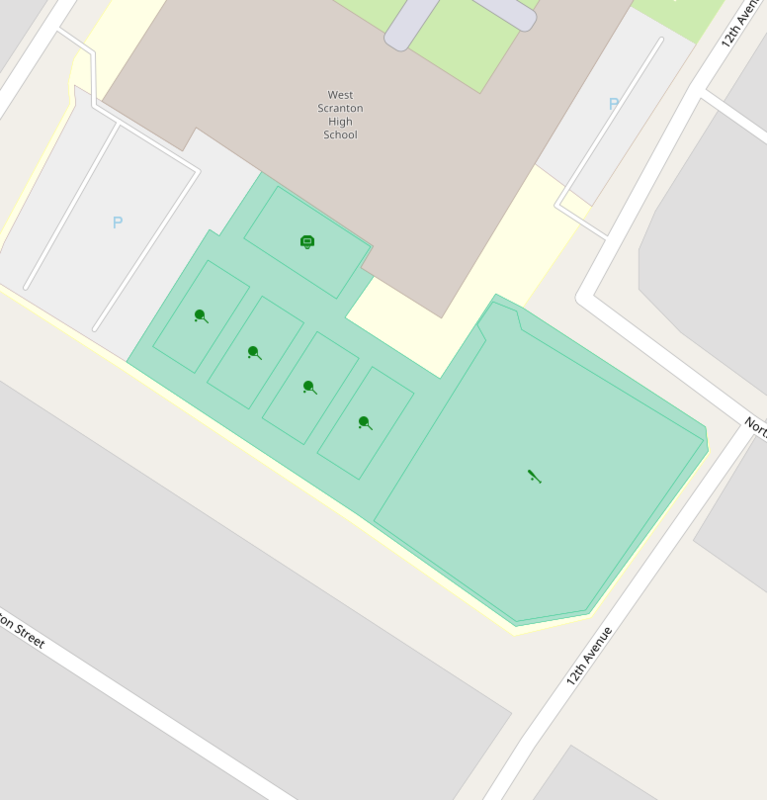 There's also https://github.com/mapbox/maki/tree/master/icons with more stick figures instead of the bat/ball icons. Still we need to decide if we want to use icons or field markings. I'm very strongly for icons. Field markings are poorly recognizable and potentionally ambigious. Also, the field markings are not actually based on OSM data so they are basically lies, stricly spoken. The real field markings might either not exist at all or they are just wrong. For example, not all soccer fields actually have field markings, especially small ones. Also, the field markings will be hard to be understood for people not knowing a particular sport very well. 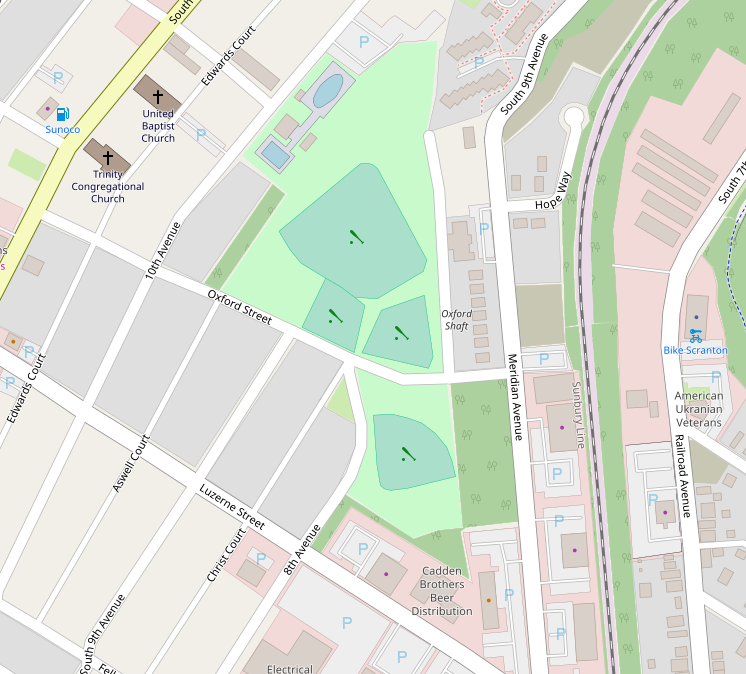 Also, field markings do not fit into the “tradition” of the default OSM style of only showing what's actually there in the data, rather than “interpreting” stuff into the data which simply isn't there. 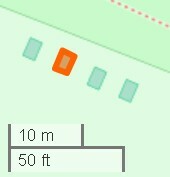 For example, not all soccer fields actually have field markings, especially small ones. 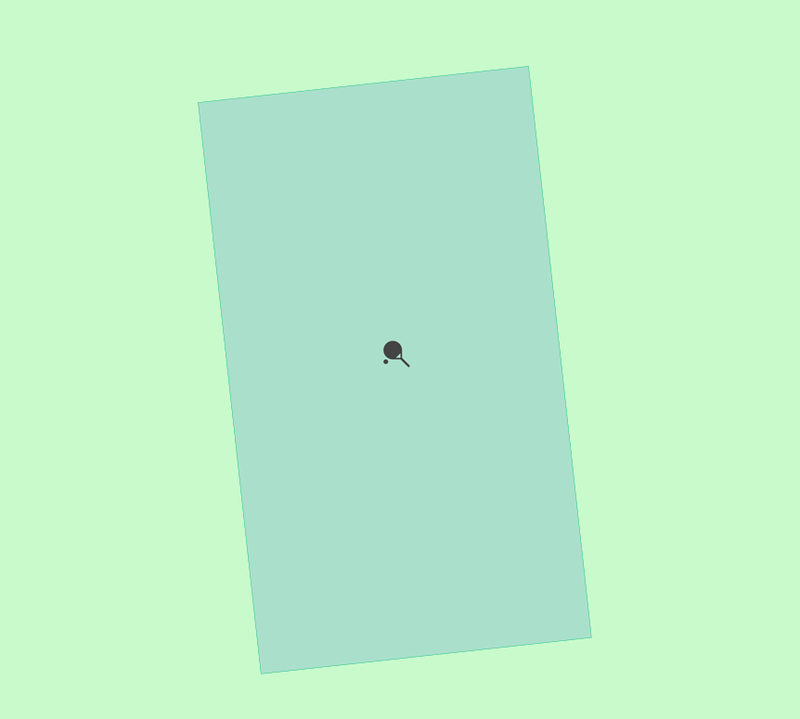 Maps are no rendered satellite images. Also, the field markings will be hard to be understood for people not knowing a particular sport very well. On the other hand, icons are WAY more recognizable, even by people not knowing awfully much about the sport. As an counter example there are many racket sports. I am not sure which is meant by the tennis icon from boothym. But the line marking is pretty unique. Exactly. And I think field markings try way too hard to look “authentic”. Under the same logic, OSM could attempt to draw road markings on roads. I know, I know, field markings look cool, but they are not exactly useful for a map when you actually want to read information from it. Icons are more abstract, therefore a more logical choice for a map. I guess the tennis icon stands for “tennis”. ;-) You already said “tennis” by yourselves! xD Also because this is probably the most well-known one. 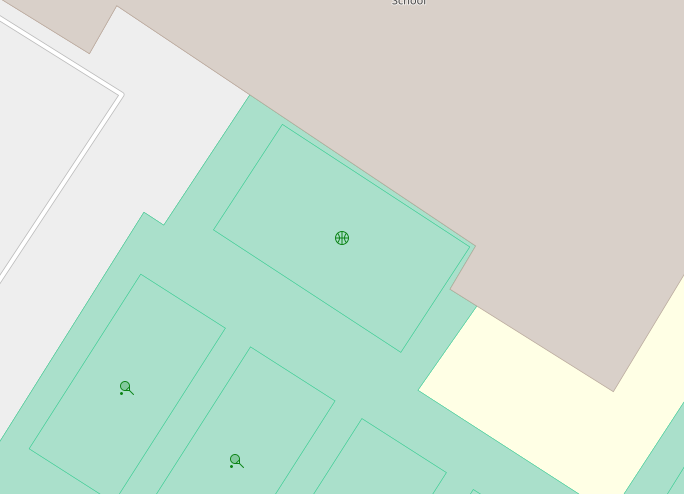 Yes, it's probably hard to draw an icon for every sport in existance but OSM could just start with the most common ones while adding icons later. Sports without an icon could maybe get a generic icon or no icon. The homepage really should improve its map key because the default style has so many different icons, but almost no icon is actually explained. :-( In fact, the map key is very, VERY incomplete (sadly). Creating a key for the icons would (hopefully) not be too hard (it just needs to be done). But creating a key for the markings or all sport pitches would be overkill and therefore it would be pretty unlikely to happen. I fear that Average Joe will fail to recognize the lion's share of possible sport pitches. Pfff, this is weak. The markings are nothing like icons. Icons are not rotated and have a fixed size and are always put on a point. Markings can be rotated, are made of lines and differ in size and take an area. Other racket sports have slightly different rackets (e.g. longer handle in badminton) and most of them are played indoors. 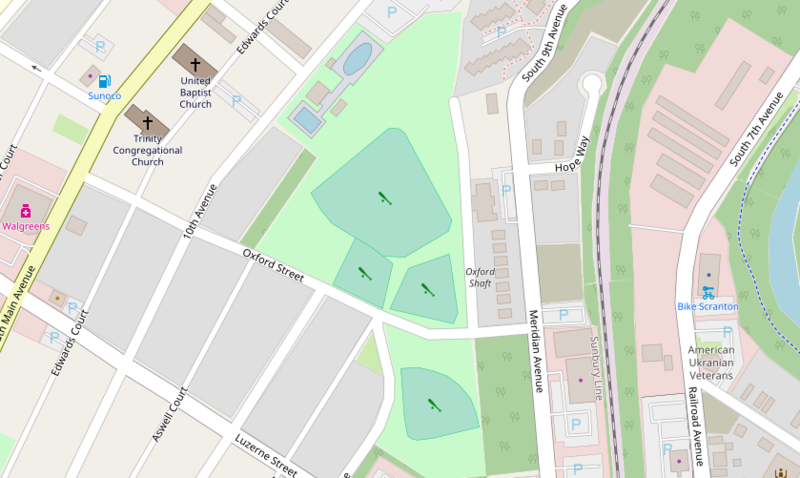 If you see a pitch in OSM with a racket and ball, and it's not inside a building it's highly likely to be tennis (given 230,000 courts have been mapped!). 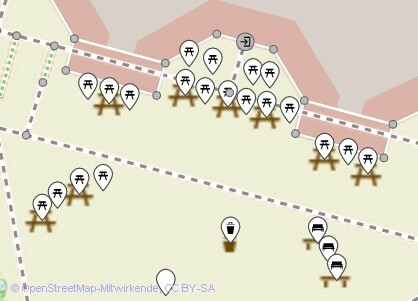 Anyway, the main thing is that I think icons should be added as soon as possible for the most important sports in OSM. They presumably are easier to add than markings and would definitely improve the map styling. Is someone able to render these so we can see what they look like? @kocio-pl ? What should the colors be (re)used then? I hope pitch color will be made less dominant soon, but green symbols with green label could be hardly readable. I was thinking basically how they are just now - dark gray/black (with transparency)? Can you please also add an icon for riding arenas (tagged leisure=pitch + sport=equestrian 🐴) ? Also please take into account that pitches can be indoors (in a hall or under a roof), in these cases markings can not be used, but icons probably can. We would need to be careful here because it might not be clear what feature the icon applies to, i.e. the pitch itself or the facility the pitch is part of. Also note the horse as a symbol - no matter if with a rider or not - can mean a lot of different things and does not necessarily imply something sport related. Not every riding arena (equestrian pitch) is part of a riding facility or anything similar, like also not every other kind of pitch is part of a sports centre, leisure park or so. Especially in these cases it would be helpful if the map would show what kind of pitch it is. I agree that it would be good if the icon would look related to equestrian sports, perhaps a jumping horse, but I don't know if that can be done in a 14px icon. @kocio-pl I know I've asked before but any chance the icons I posted could be rendered? I noticed there is a 0.3 opacity white outline to the black icon in the svg which I had to remove first. Sorry, I'm currently busy with many other problems, which I think are more important. It's not clear what people would decide, but the best chances would be to create 14 px versions of icons (leisure green is probably better than black - and we already have golf icon), create the code, test them and make a PR with renderings. Could you try to do it? I was looking at Taginfo sport=* key list to choose which tags can have an special icon in combination with leisure=sport_centre / leisure=pitch . It's very interesting, beacuse there are some sports which I even didn't hear about earlier (eg. netball or gaelic games), more popular than eg. boxing or car racing. 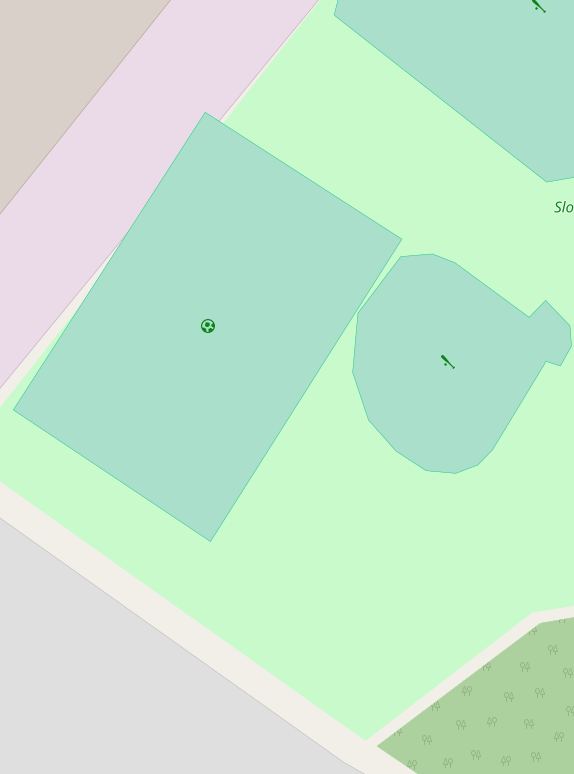 I think we should prepare a list of sport=* tags which we want special icon for, and for the rest use just generic leisure-green dot for leisure=sports_centre (see: #2930) and current "blank" leisure=pitch rendering. Which sport centres and pitches you would like to see with a special icon? the small icons are from iD, the bigger ones (less) from carto). I wonder why this kind of solution wasn't/isn't applicable for swimming_pool's (#2870). What about sport=horse_racing on leisure=track? sport=horse_racing has > 2k uses just on tracks which is more than scuba_diving, canoe / rowing and billiards.each have in total and these tracks for horse_racing are quite large objects. No, this is the horse racing icon of your browser/ operating system (list). @Hufkratzer, I think we could render a horse racing icon sports centers that have the sport=horse_racing tag. I don't don't recommend it on on tracks though due to the current issues we have with icons positions not rendering well if the area is round etc. Otherwise, it will render it will render in the middle or some other weird spot. If I remember correctly it was an issue on the Maptnik side that was supposedly fixed, but I've still been seeing it around sometimes. Its been a while though. 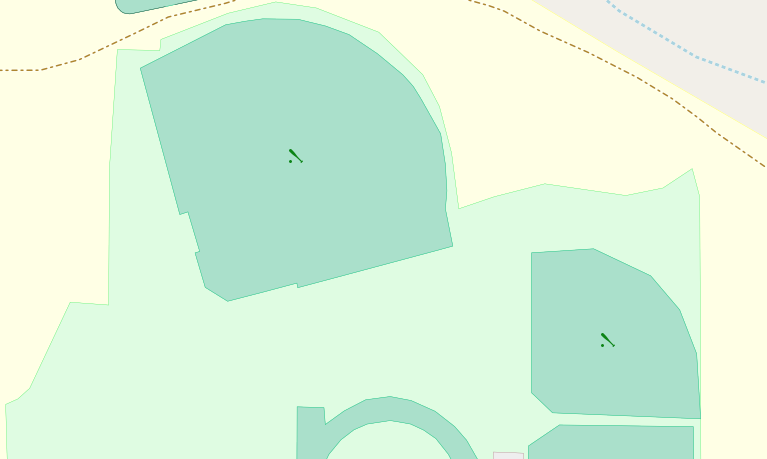 If you render icons for leisure=sports_centre instead of leisure=track you will somehow force mappers to map sports_centre's where no sports_centre's are (or to nest sports_centre's) if they want the sport specific icons on the map. Is that desirable? If I remember correctly it was an issue on the Mapnik side that was supposedly fixed, but I've still been seeing it around sometimes. Its been a while though. Woho, I finally got the code for sports icons working. So expect some test renderings any day now. This ones been on the top of my list for a while now. Maki versus Tomasz-W icons. If people don't mind I think I'll do a PR for the main sports just to get to it implement and do the rest later. Since there's like 16 of them and it will take a lot more time otherwise. Personally, I'm leaning more toward Tomasz-W's icons because they aren't mostly solid black. So they don't stand out as much. @Tomasz-W How come you think they should be man-made-grey for pitches? Last time I checked names on pitches are currently rendered in green. Plus its a leisure tag. Eveeything else leisure is green. Also, I'm not dealing with sports centers at this point. I want to figure out the icons were using and get pitches implimented first. 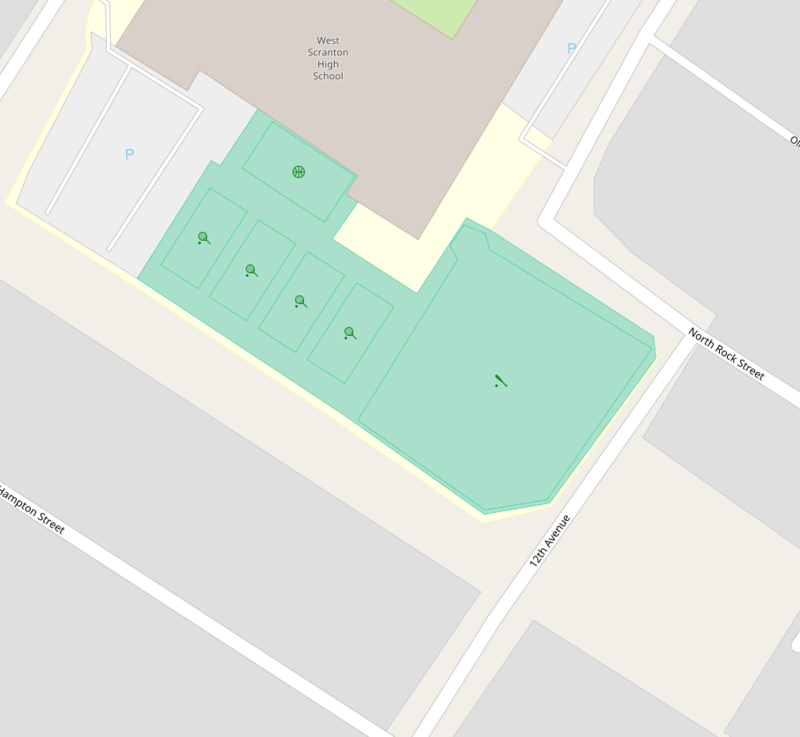 @Adamant36 Imagine a big soccer training centre - if we would render both pitches and sports centres icons in leisure green, there will be just a chaotic bunch of green balls around, in my vision there would be man-made-grey pitches and green ball icon in sports centre middle. It was actually proposed initially: #844 (comment), so it's nothing new. Another thing is that for single objects we should use man-made-gray and for more complicated ones leisure-green. I know this ticket is about piches but we have to think long-term. I think #844 (comment) was just a lazy photoshop example, not a request to use black icons. I find grey icons quite odd as I can't see how something like "baseball" would be categorized as "generic" and not "leisure". Could you explain your vision a little better? Perhaps a mockup? Because this way we would keep the color for pitches while at the same time indicating that they are special (bigger). @Adamant36 agreed, though my only concern with the Tomasz-W icons is the basketball being too similar to the soccer ball? Do you mind rendering a pitch which has a name as well as a sport? @Tomasz-W my image further up the thread was just a quick photoshop to try and get some progress on this issue (first comment in 9 months!) 😉 I'd go for green now that I've seen it rendered. So, green for the icons it is then.........Any feedback besides @boothym's on which set of icons are better? @boothym, they do kind of look similar. I'm willing to go with Maki's soccer ball, if there is wider agreement. Also, as I said above, I'm not doing sports centers until pitches get done and rendered. Its a lot less complicated that way and it has a better chance of not getting derailed before it gets merged. Plus, we haven't even figured out the icons we are going with yet anyway. So, its kind of putting the cart before the horse. If there's a problem with that, someone else is free to work on the issue. I will eventually after pitches get done. Rendering on sports centers doesn't really affect how or what's rendered on pitches at this point though. 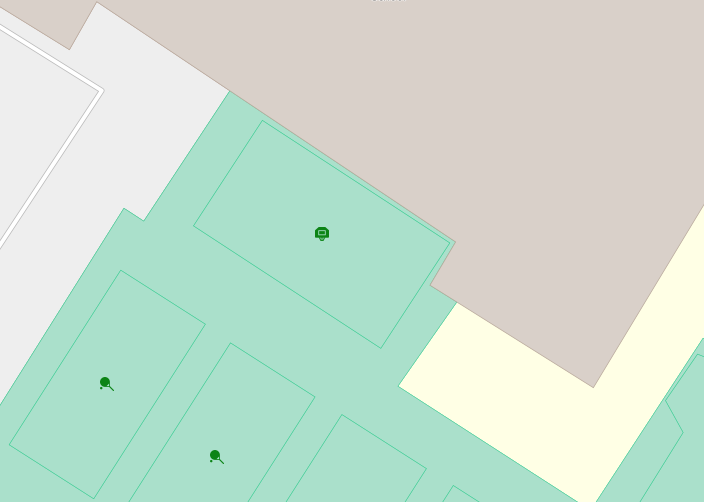 Plus, The green dot-rendering is a different issue. It will get done at some point in its own PR. @Tomasz-W, btw, do you know of any sports centers tagged as one sport that contains pitches from another sport? Also, it seems like it would be a little redundant to have an icon for a sports center along with all the pitches there. It should be clear from the pitches what kind of sports center it is. Plus, they might block each other out. P.S. Can you make icons for roller skating and ice skating? They both have numbers around 1000 each, but I feel like they could be added anyway. Since there probably aren't many places for them in the world anyway. my only concern with the Tomasz-W icons is the basketball being too similar to the soccer ball? The maki basketball icon is hard to recongnize, therefore I would prefer the ball icon for basketball. not free, would have to be redrawn. @Adamant36 I was actually thinking the other way around - use Maki's basketball with the backboard, and Tomasz-W's soccer ball. If having so many icons is an issue (#3651) or having field marking is too much (#1126), why don't you people reuse the leisure=fitness_station icon to represent all ground sports since most of them involve running or at least moving on a field? I think having to distinguish a sport field from the rest of the map is more of an issue than distinguishing the fields from each other. 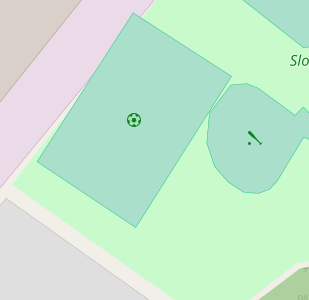 It would at least reduce the need of using generic names like "Soccer field" to identify a green rectangle in the middle of nowhere, like this https://www.openstreetmap.org/#map=17/-23.42452/-47.58841.